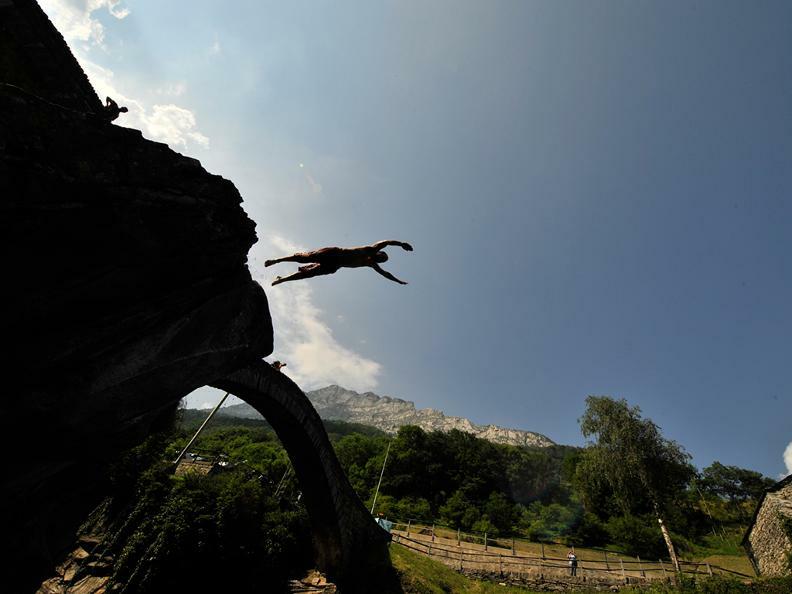 Not be surprised to surprise yourself: In Ticino diving enthusiasts can go underwater in lakes, rivers and alpine lakes. 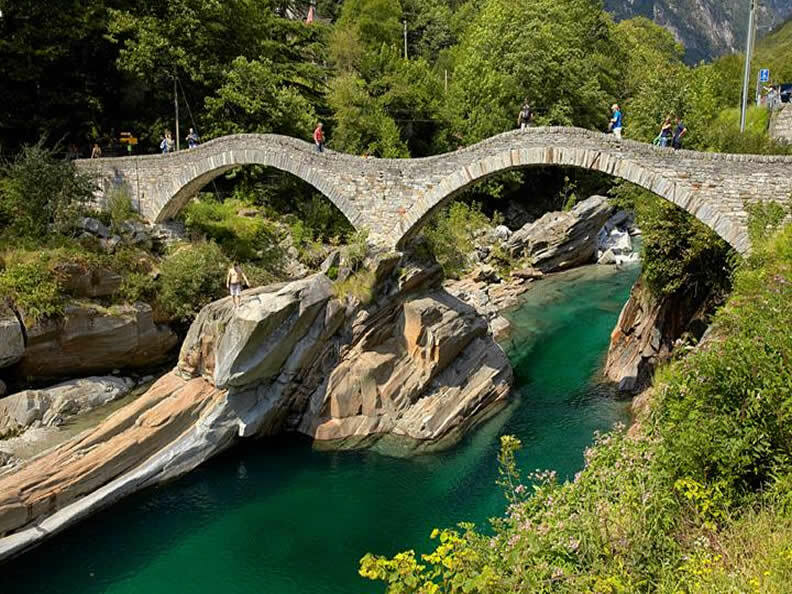 The bridge "ponte romano" also called "Ponte dei salti" (jump bridge) crosses the Verzasca river in Lavertezzo and is a typical medieval construction made of stone. After its partial destruction occured in 1868 it has been reconstructed in 1960. Close to the bridge you can admire a Chapel from the XVIII century. 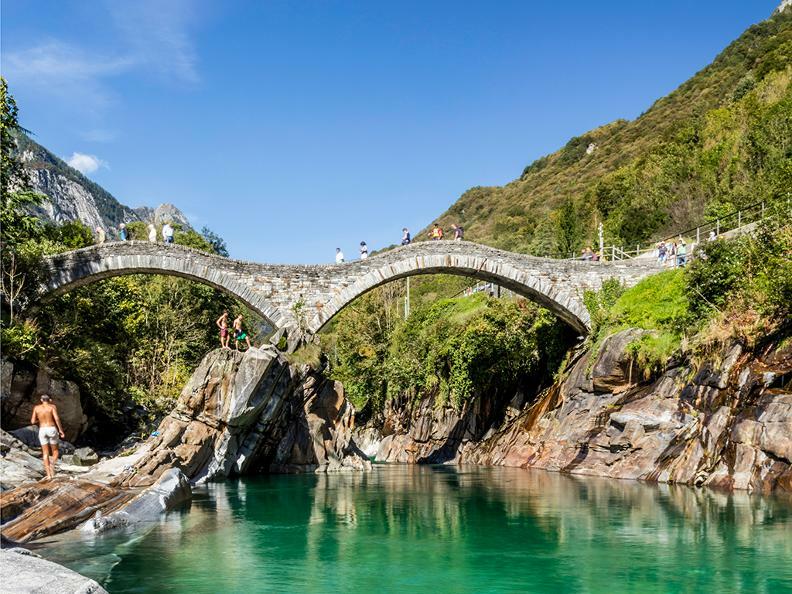 One of the most spectacular places to dive, is in the crystal clear waters of the Verzasca Valley, that offers different swimming opportunities. 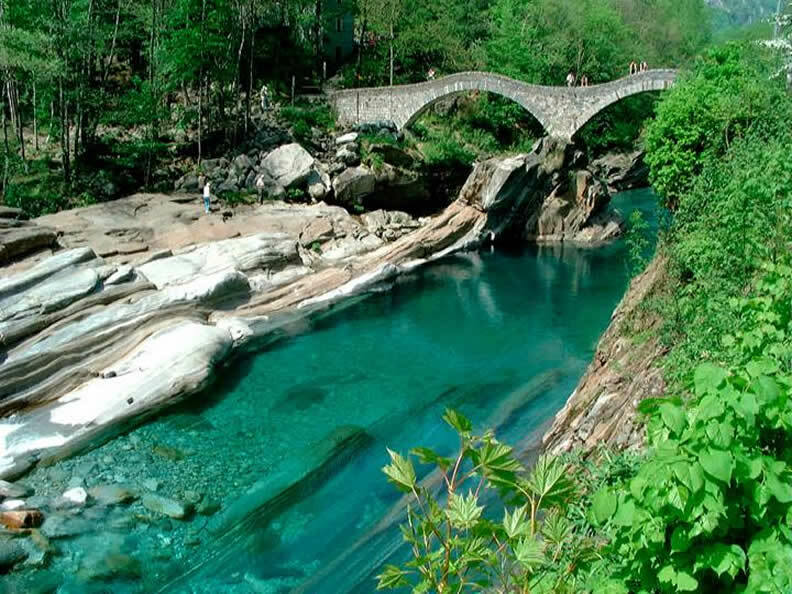 The best-known river basins are located in Lavertezzo and in Brione Verzasca. 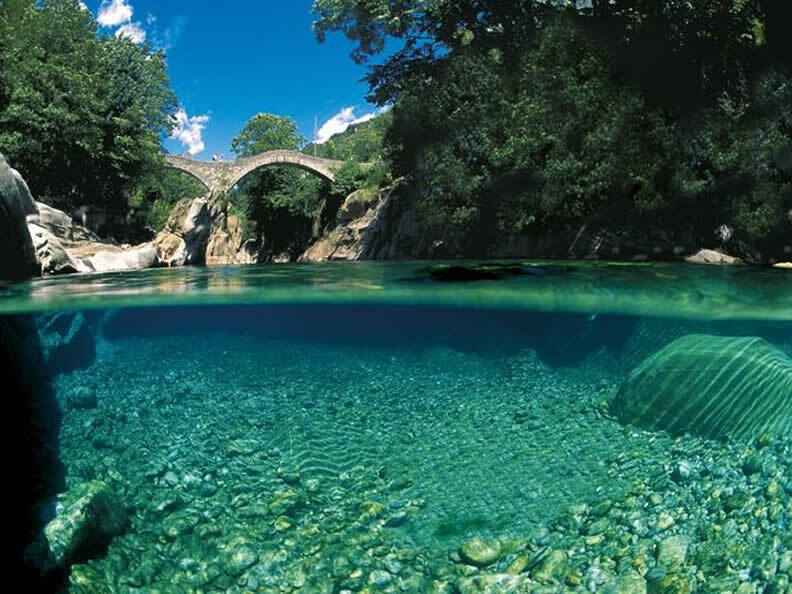 The most famous for underwater activities are the Misura river basin, the Posse river basin and the Salti river basin. 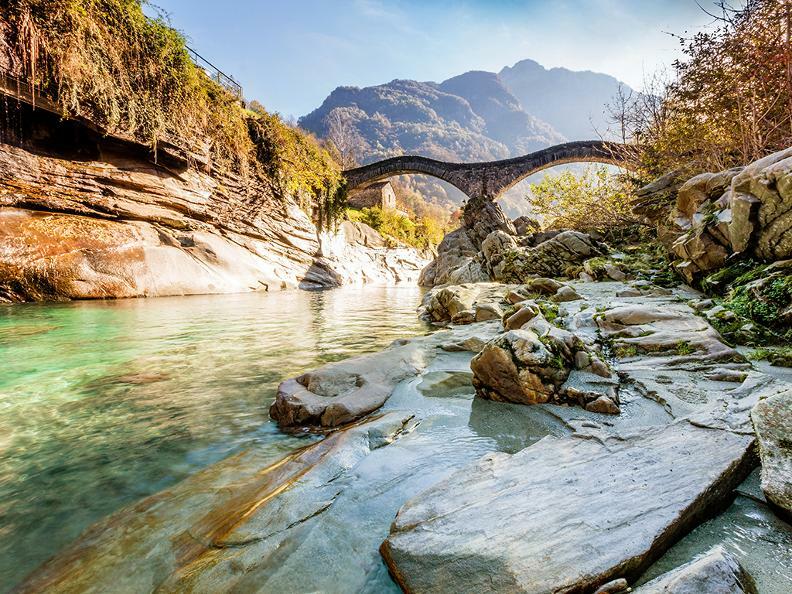 The river, with its emerald and crystal clear waters, however, can hide hazards. Therefore, pay attention to the warning notices posted locally.